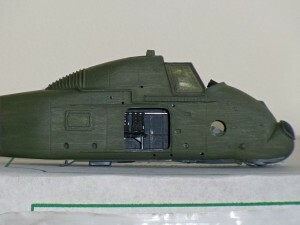 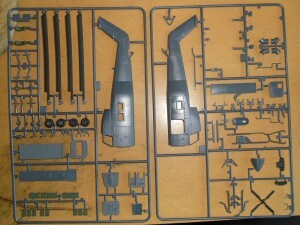 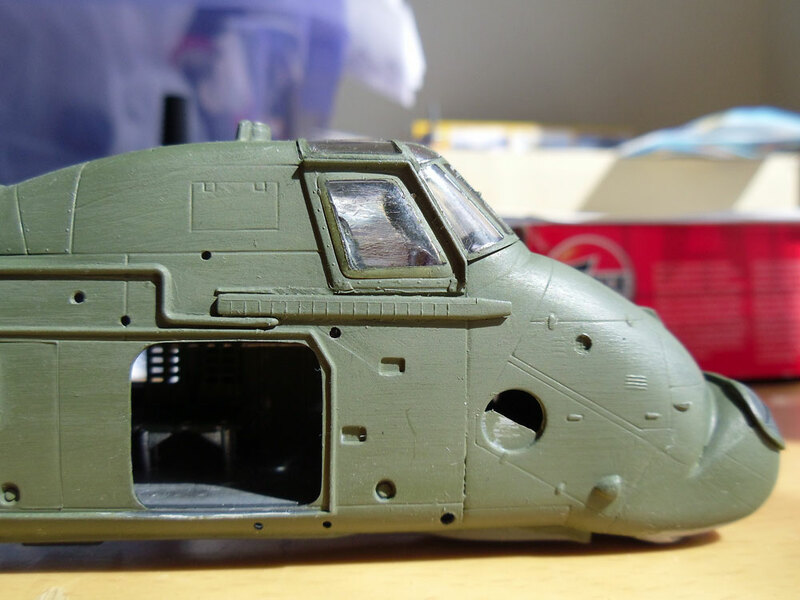 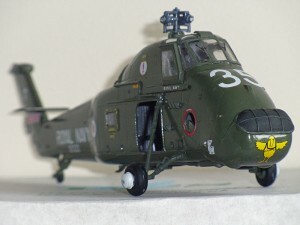 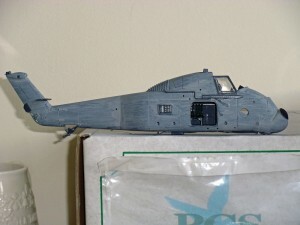 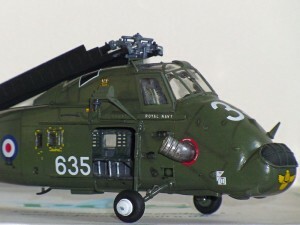 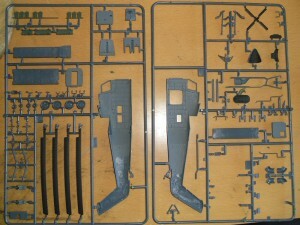 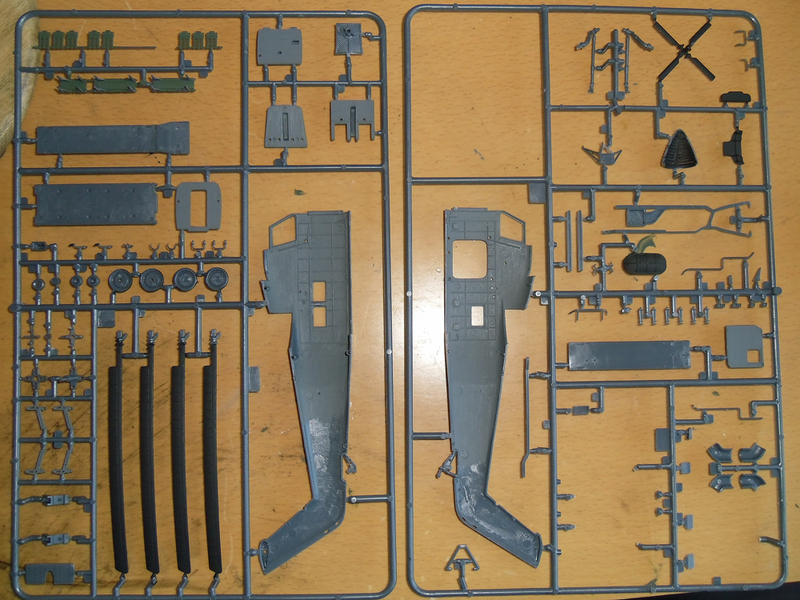 From Harrier GR3 to another Italeri product, the 1:72 Wessex HU5. 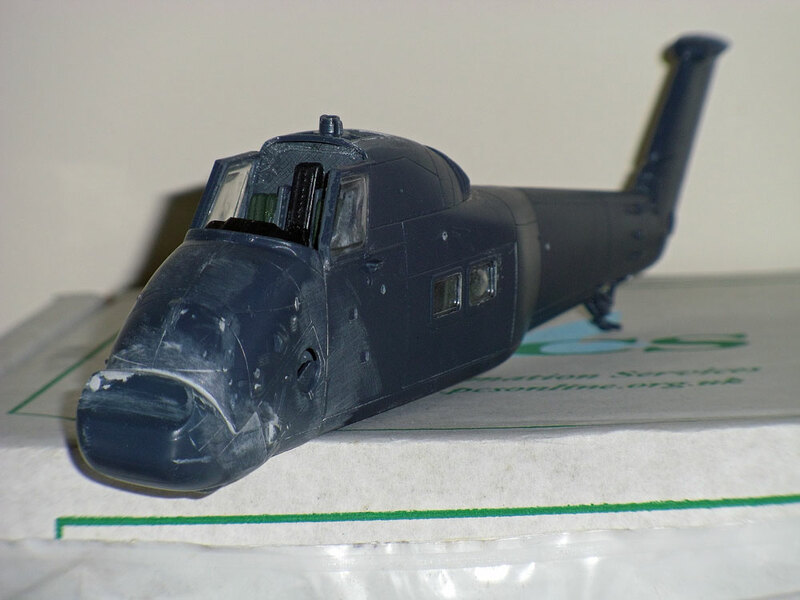 Initial painting of various parts on the frame today and construction of the nose section and filter (filler and work will be required!!!). 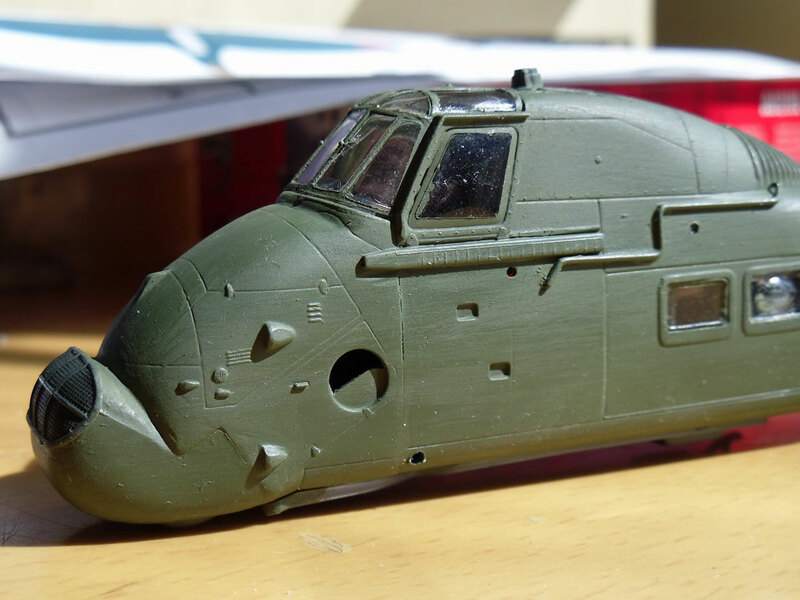 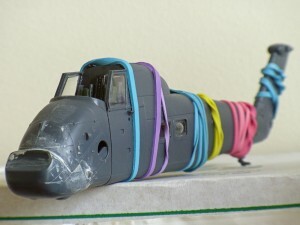 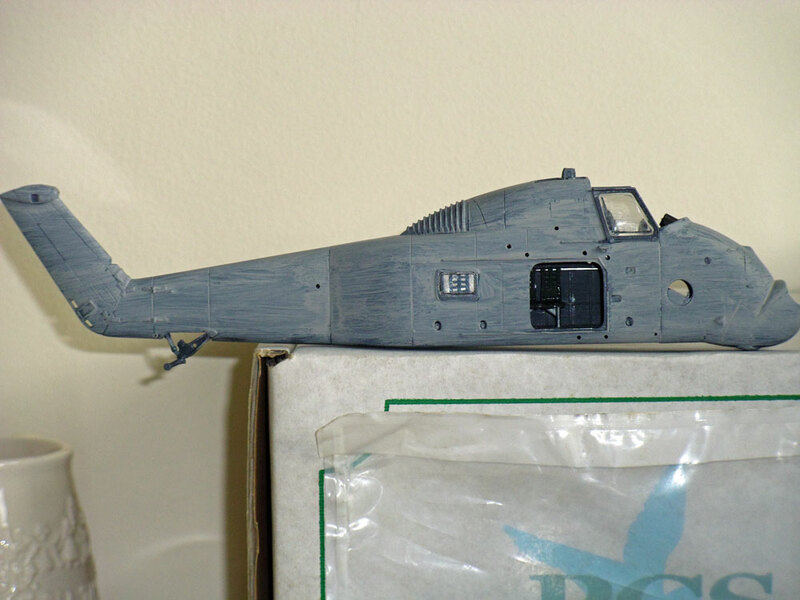 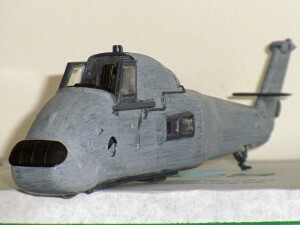 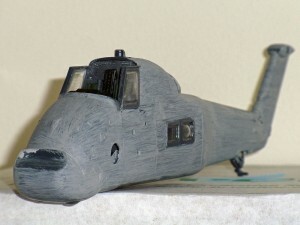 Colour scheme at this stage is undecided but it will be a Fleet Air Arm cab, and the completed model will have folded rotor blades at project end. 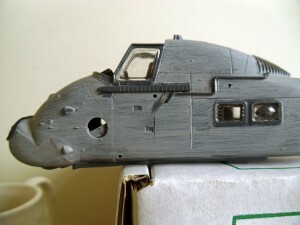 First photos today show both frames from both sides, and the glued nose section as is without any filler or work of any description. 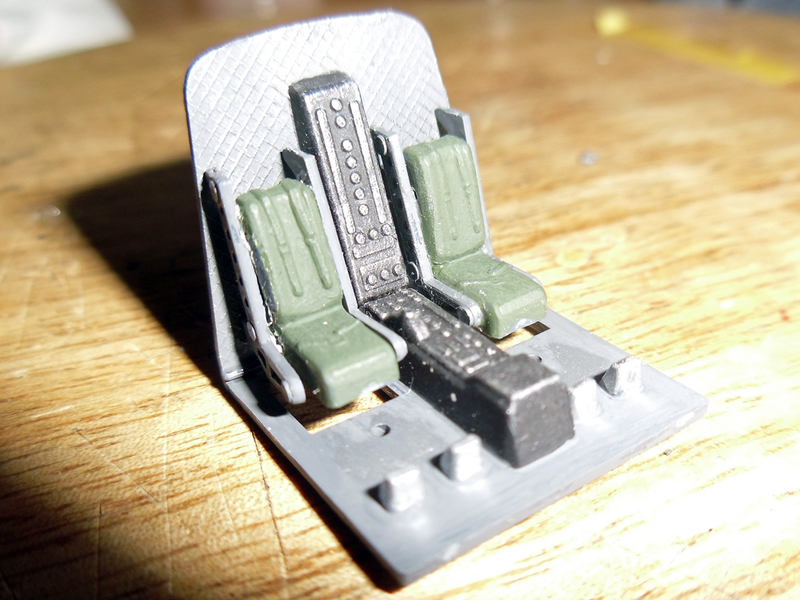 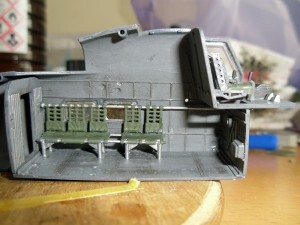 Some work on the cabin and cockpit areas today in preparation for getting the main fuselage together with cabin and cockpit intact. 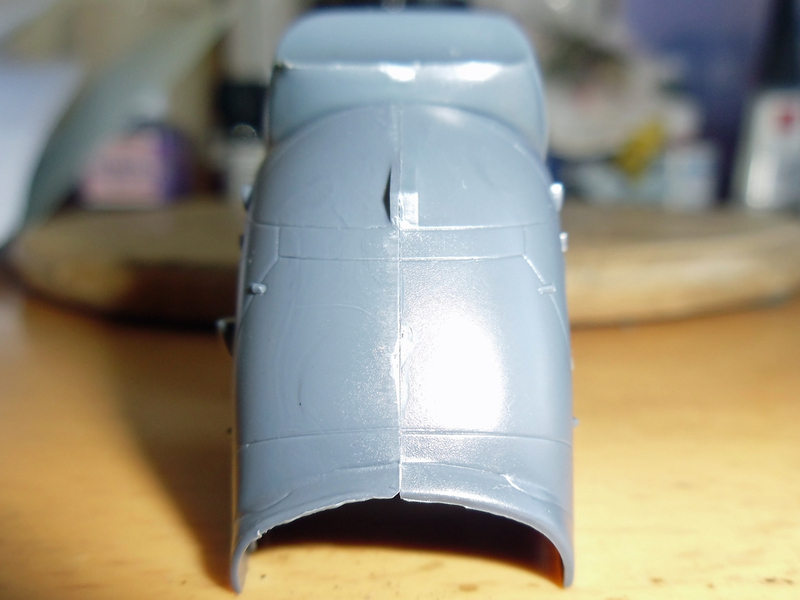 Initial dry fitting suggests there could be interesting times ahead, but time will tell. 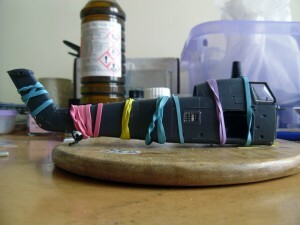 The nose section also received filler today, and the exhaust units were put together. 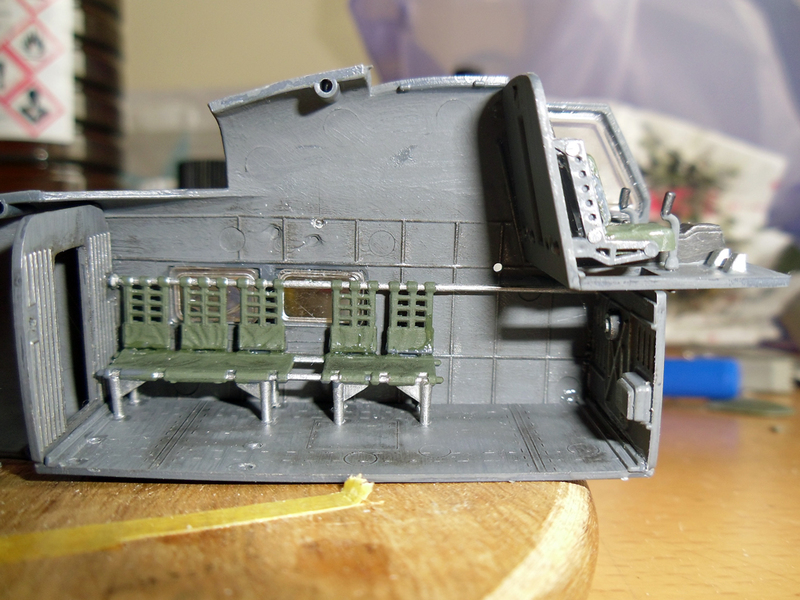 Cabin and cockpit fitted today and fuselage put together after the cabin and cockpit windows were inserted. 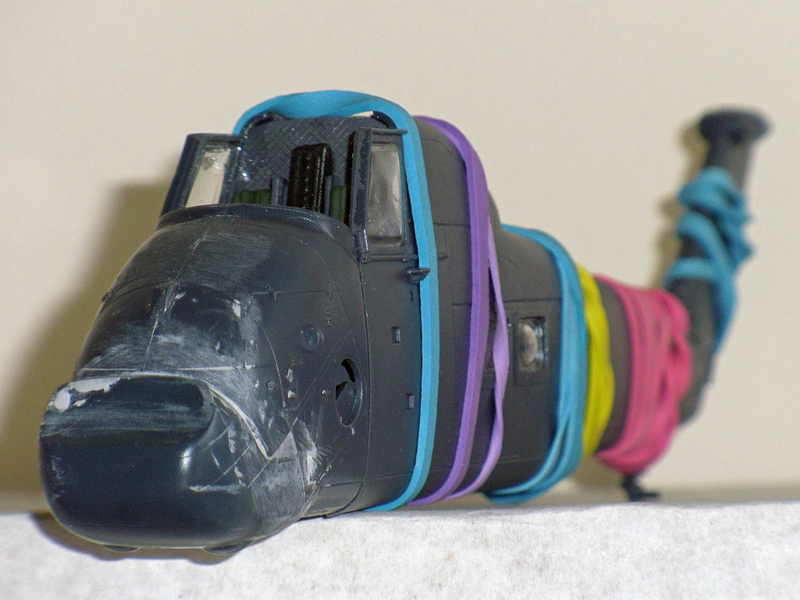 The nose isn’t on yet but is seen dry fitted to test the fit (filler required), and make the photos look better!!! 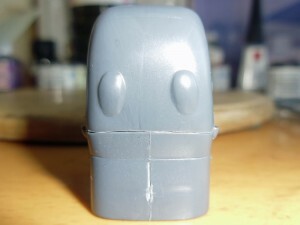 Well this one has to be good now as I spilled blood for it yesterday during an altercation with my Stanley knife!!! 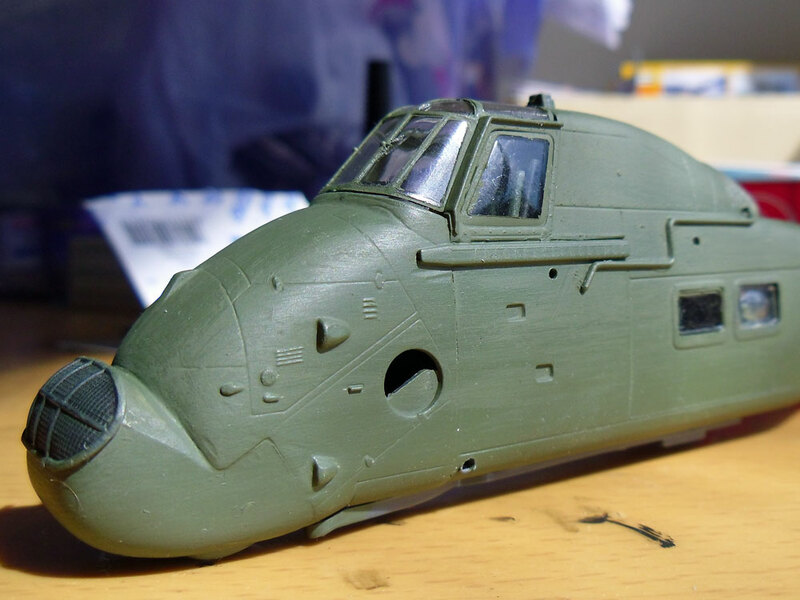 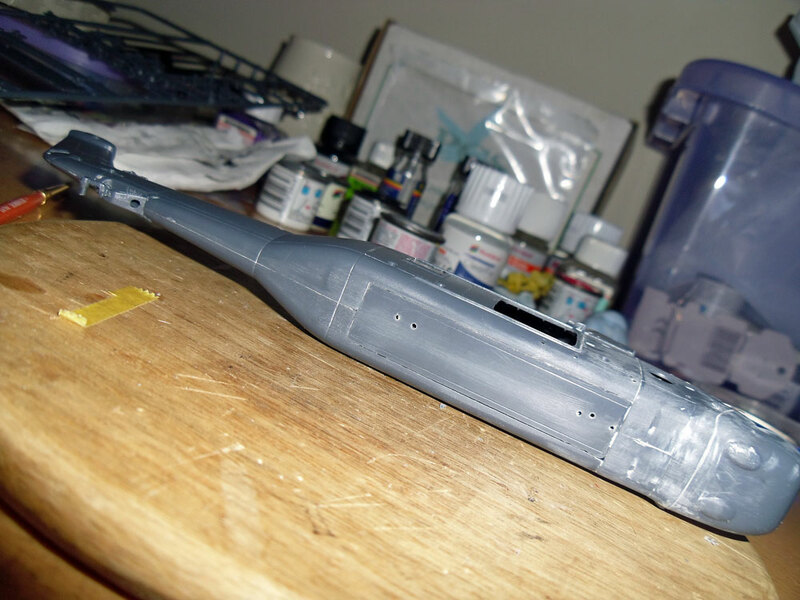 Nose section is on now, and over a two day period I’ve given a coat of primer to the main fuselage and added more bits that won’t break off during the painting and decal applying stages. 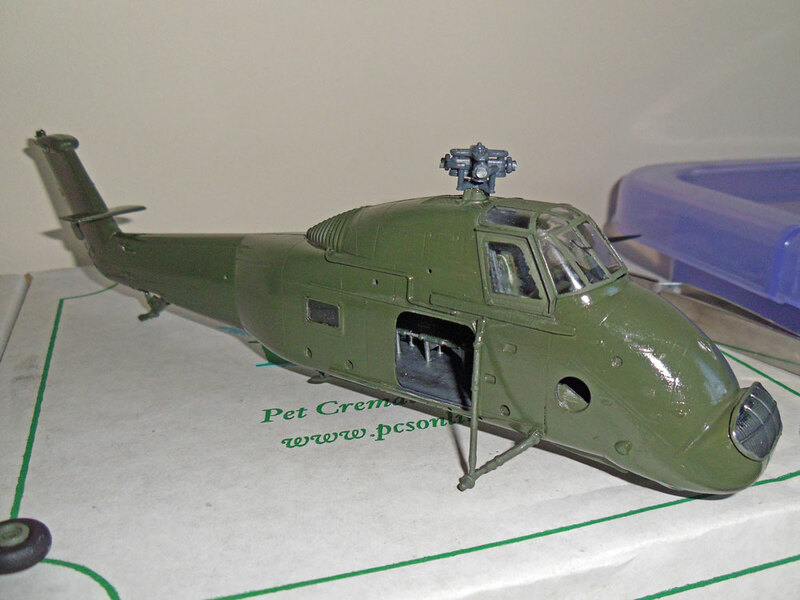 First coat of green today (Humbrol 116 enamel) and really happy with the shade, looks right for a green HU5 as I remember them. 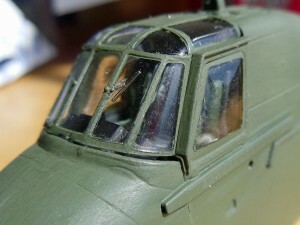 Cockpit also done and I have used an Eduard mask set for the first time (I’ll let you know the verdict when I remove the panels after the second coat). 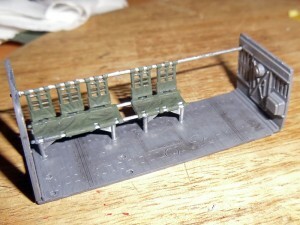 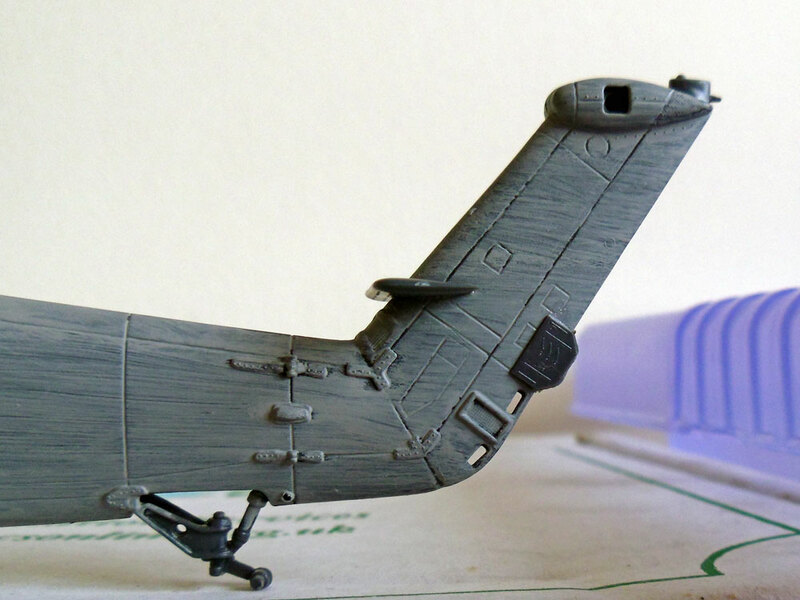 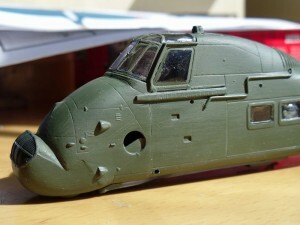 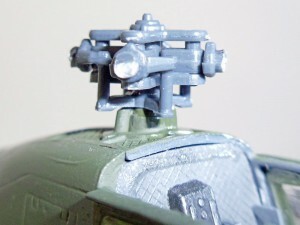 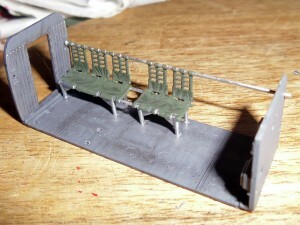 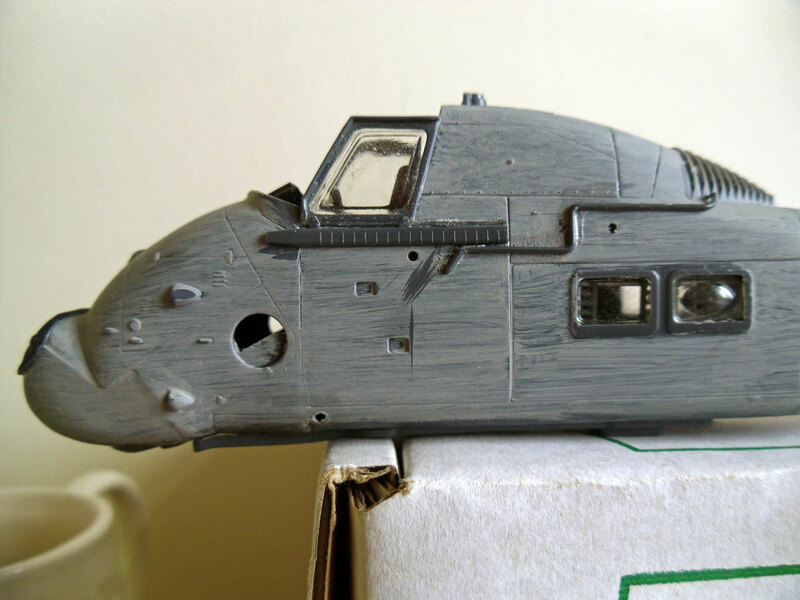 A second coat of 116 today, and the Eduard mask removed on the canopy (seen dry fitted here). 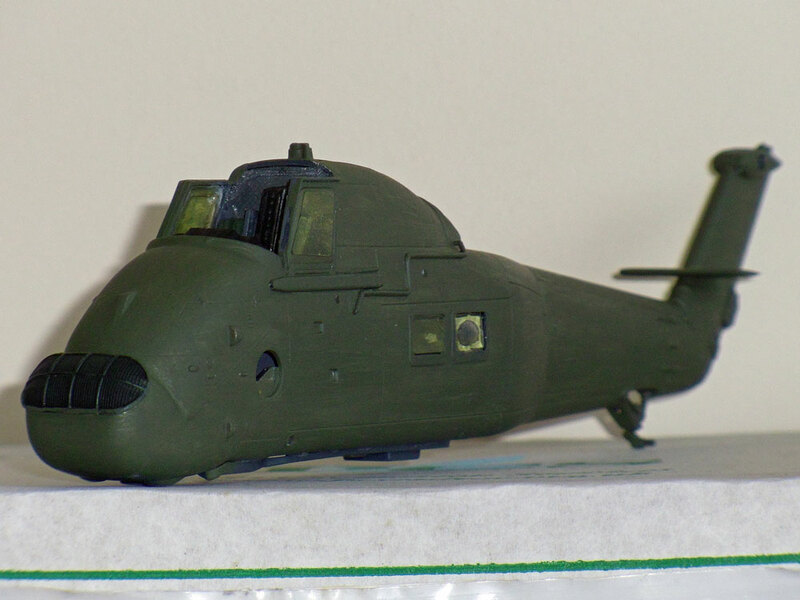 I’m happy with the green match for the original more after the second coat. A small update today. The rotors have been cut and the rotor head put together in preparation for folding them (no going back now!!). 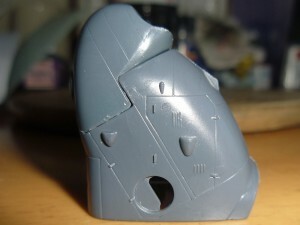 Gloss varnish has been applied for the decal application stage as well. 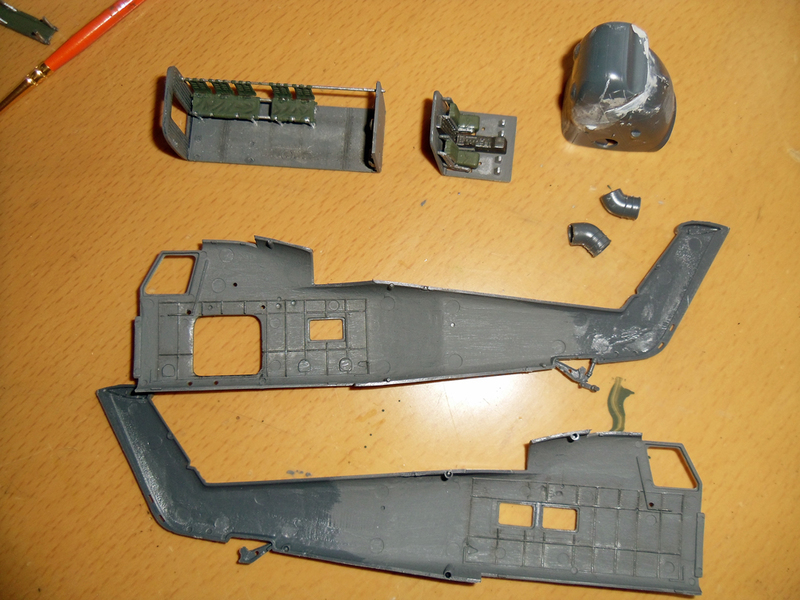 Well some significant progress to report now. 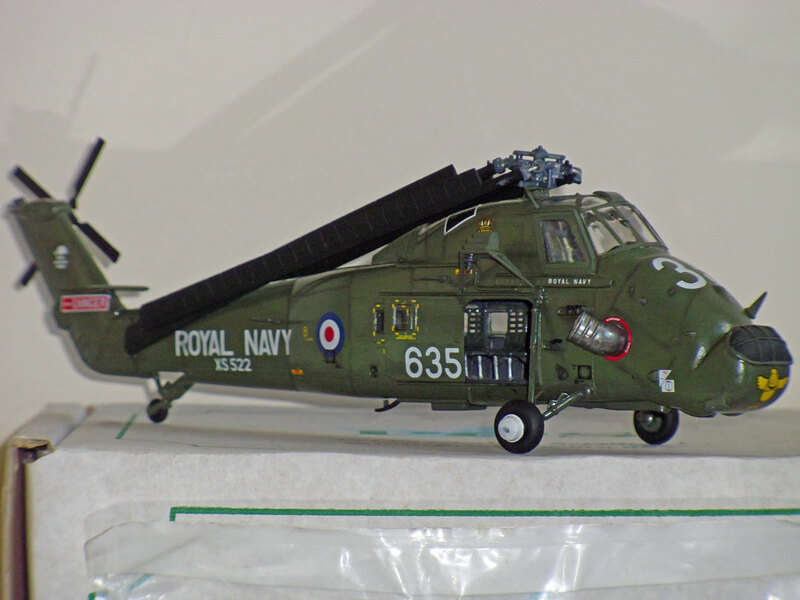 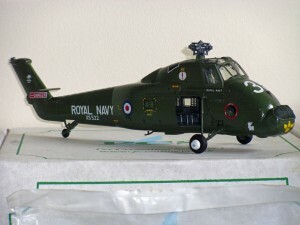 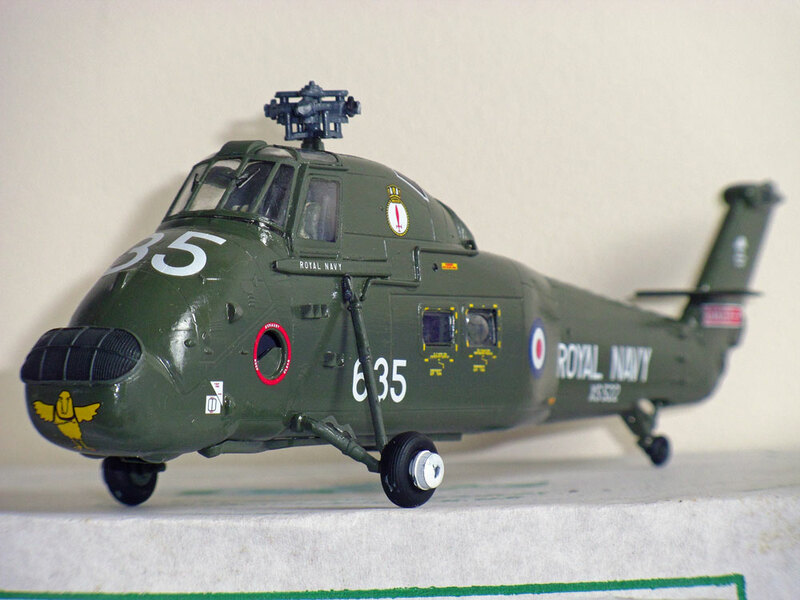 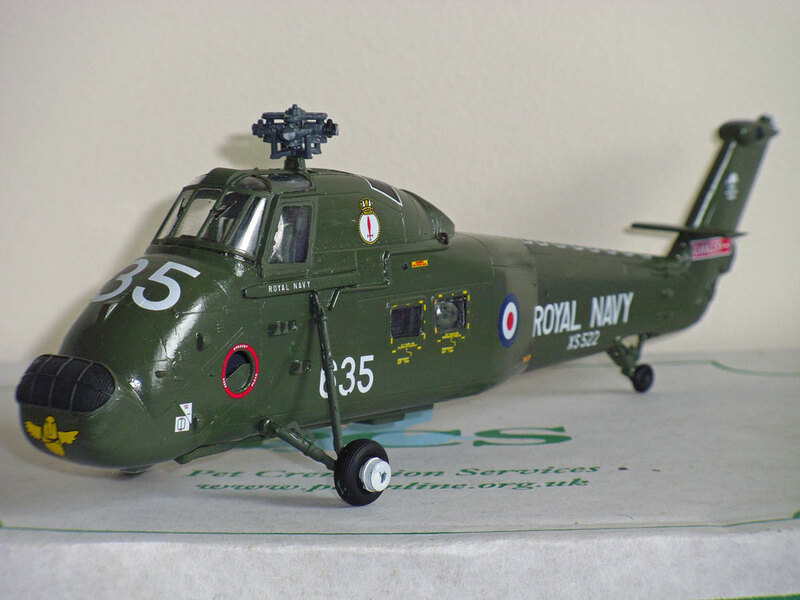 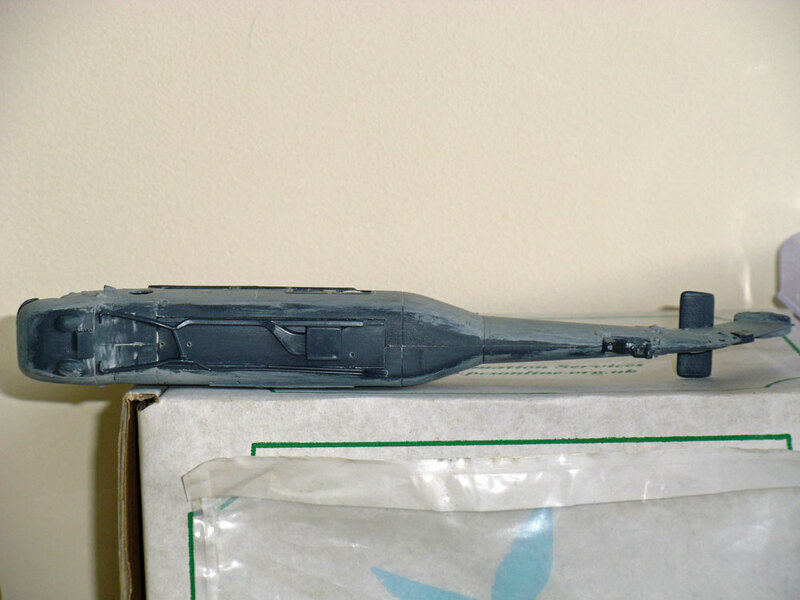 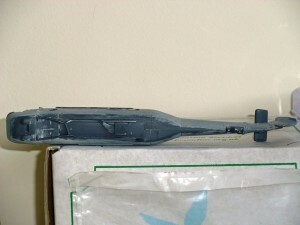 Decals are on for HMS London’s flight in 1981 (boxed option), and a few extra additional detail pieces have been added including the wheels. 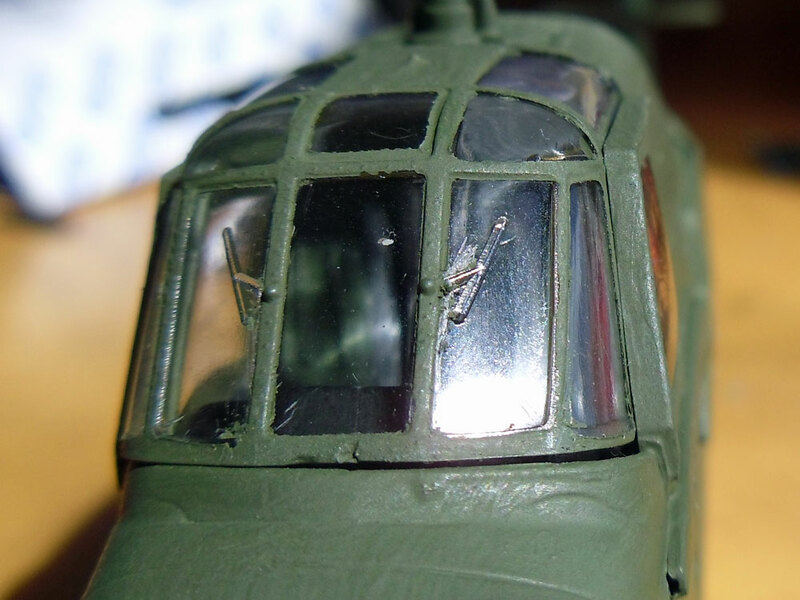 I wasn’t overly enamored by the early A-type roundels and white lettering originally as I had an eye on doing a grizzly, worn falklands low viz example. It’s grown on me after looking at pics across the net, to the point of taking this option for the final model. 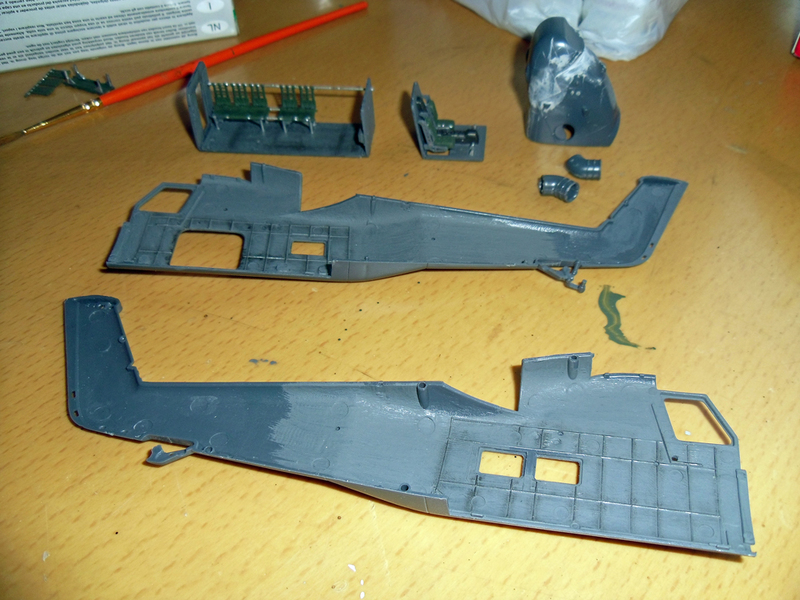 Well, various things have stopped me getting to this point, but at last I’ve got round to the folded rotor blades. Due to the scale, I’ve cheated a little, and drilled out the rotor head and rotors using bent fuse wire to gain the hold required to keep the blades in their folded position. 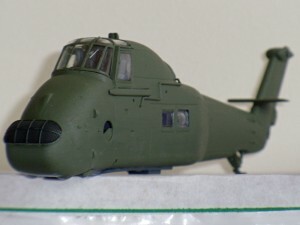 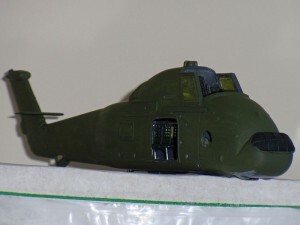 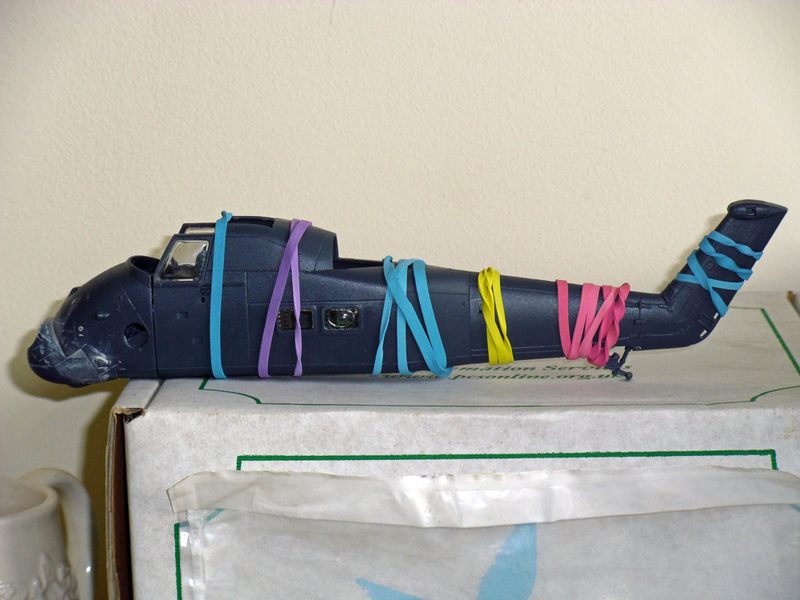 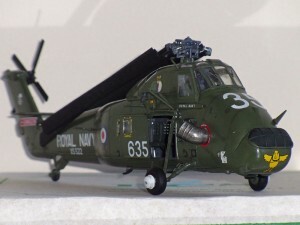 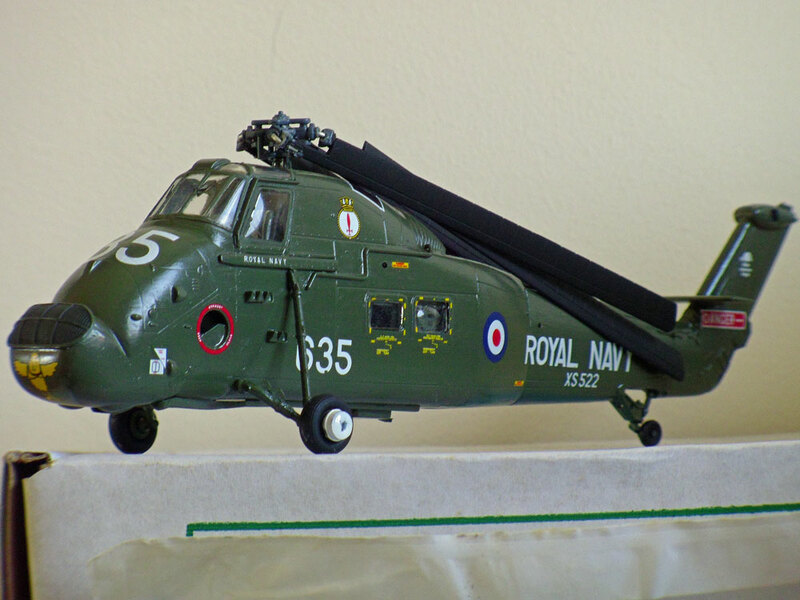 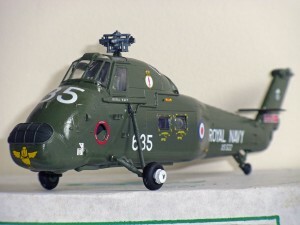 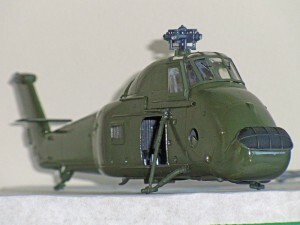 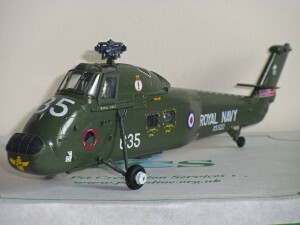 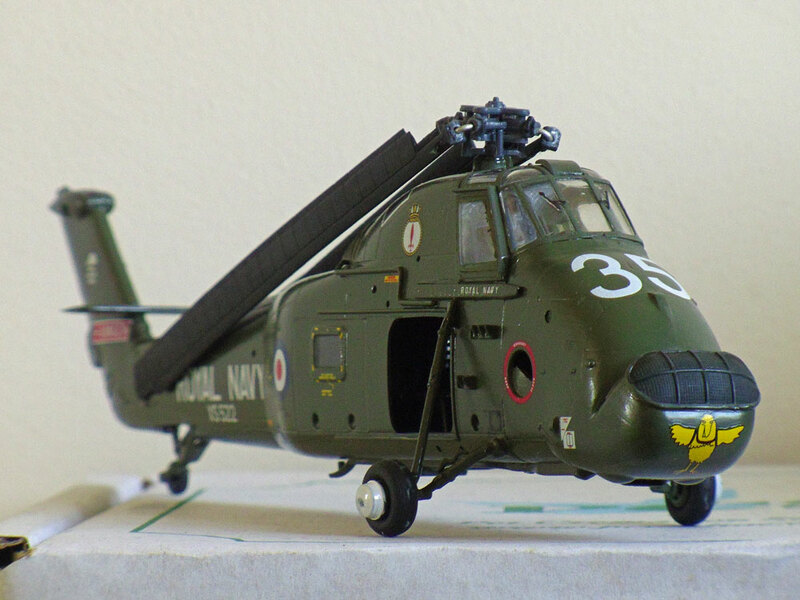 I know when I get around to my 1:48 scale Mk3, an after market kit with blade cradle is available so looking forward to that, but I felt as a Fleet Air Arm model, I had to make the effort to fold these, especially as my next 72 scale helicopter is the Dragon Sea King Mk 4, with the fold as a kit option built in!! 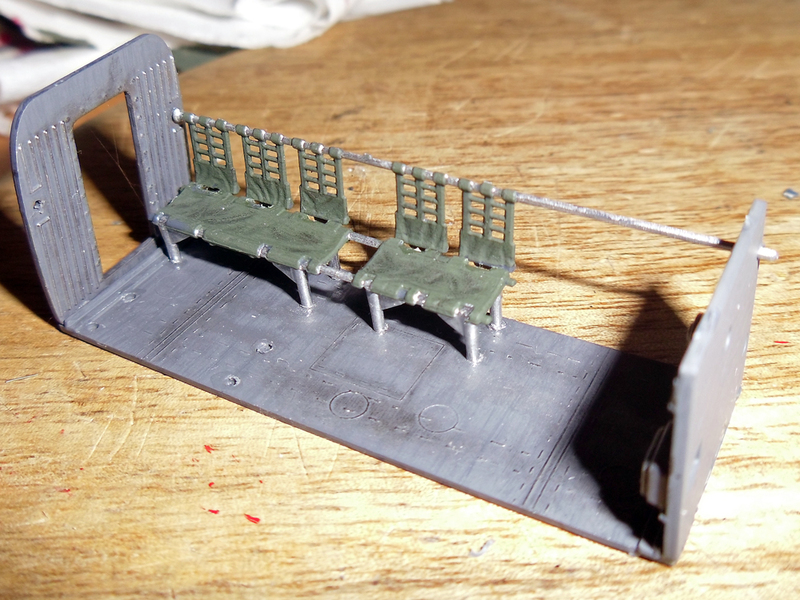 Not far to go on this one now, aerials and the like to be added, door to be put on, and intake and exhaust covers with RBF tags to be added then I can move XS522 into the completed section. 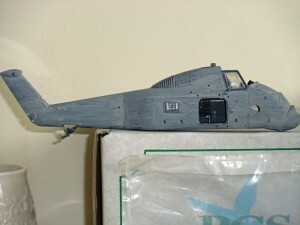 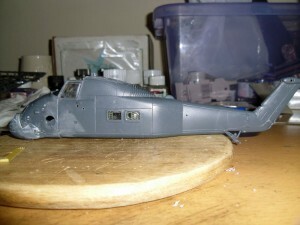 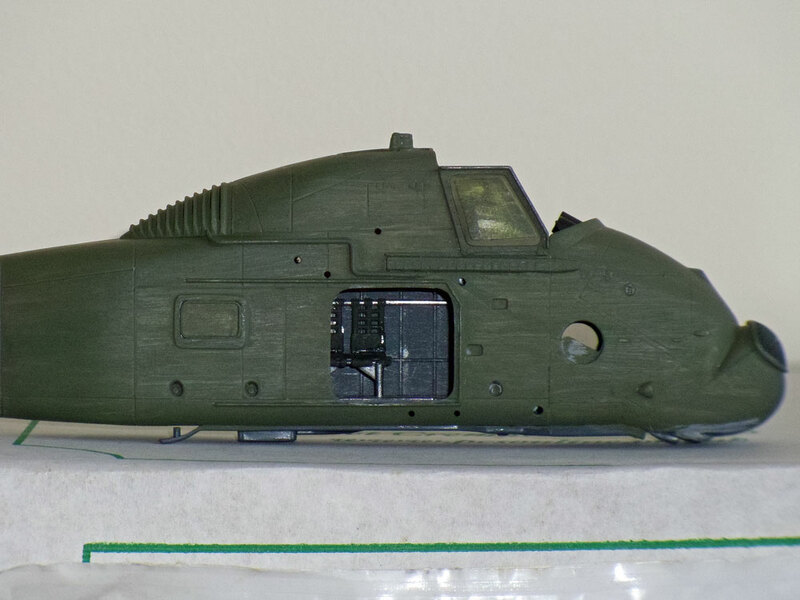 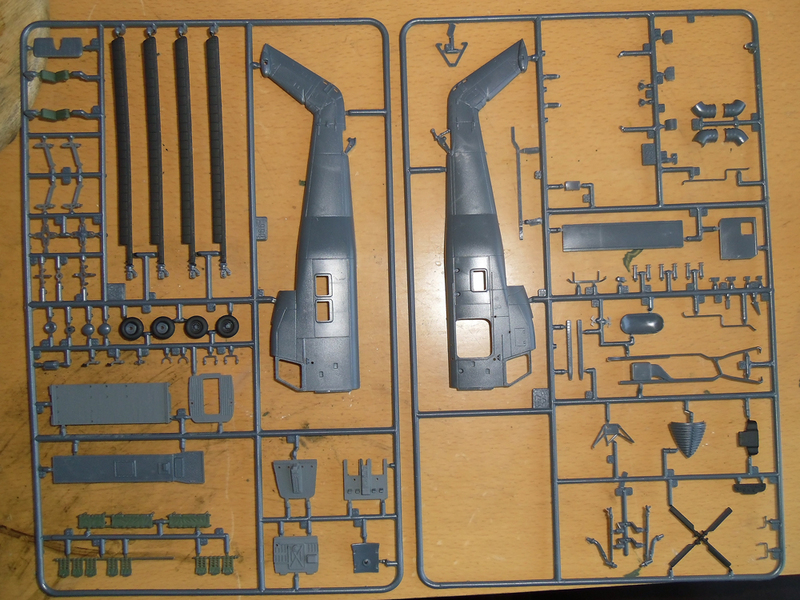 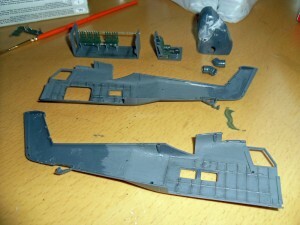 Some light weathering today, door and exhausts on, aerials added, winch in place, and tail rotor in place. Covers and RBF tags now with some rotor detail and XS522 is complete.